One of Valencia's most iconic buildings and one of the best conserved monuments in the city. 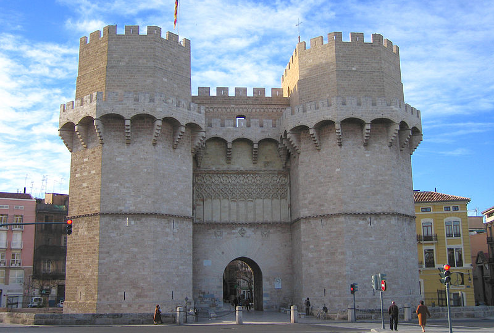 Built in 1392, Torres de Serranos was the main entrance in the city and was designed with a defensive purpose, serving also as a prison for nobles and knights from the end of the 16th century until 1887. 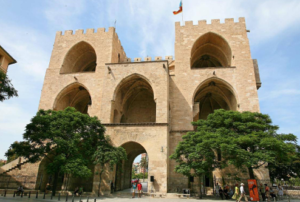 One of Valencia’s most iconic buildings and one of the best conserved monuments in the city, the Torres de Serranos is one of the last remaining of the twelve gates that used to surround the old medieval city of Valencia. 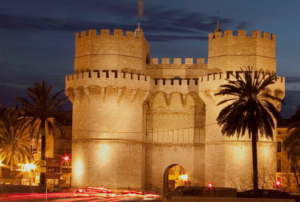 Nowadays, Torres de Serranos are listed as a monument of historical-artistic heritage and represent a reference point for any guided visit through the historical center of the city. From the top it offers a spectacular view over the River Turia.